SES Amerca, inc. successfully completed two (2) new technology Retrofit Upgrades of existing legacy Dynamic Message Signs (DMS) along each end of Highway 26 near Lander, Wyoming, These high contrast, high visibility DMS are the final leg of a 43 LED sign retrofit installation done in 14 months all across the state, from Yellowstone National Park to Cheyenne, and on the primary freight transportation route of over 340 miles of Interstate 80. 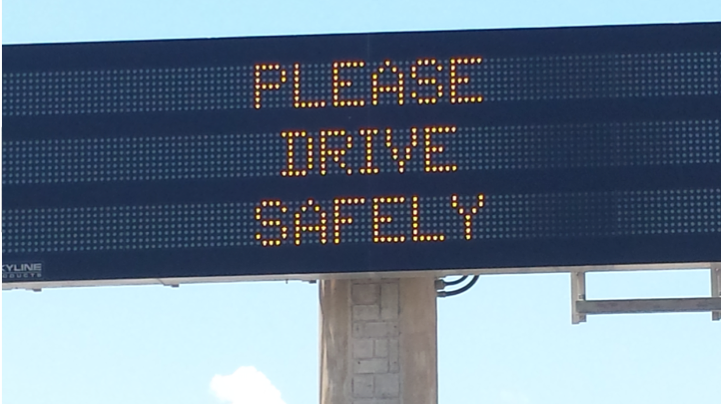 SESA has partnered with Traffic Control Devices Inc. and TXDOT to complete Retrofit Upgrades of 5 Dynamic Message Signs (DMS) in Carrollton, TX. Southbound Interstate 35E (at the Whitlock lane exit in North Texas) is the first of five installations to be completed by September this year and one of over 250 installations around Texas in the last 5 years. 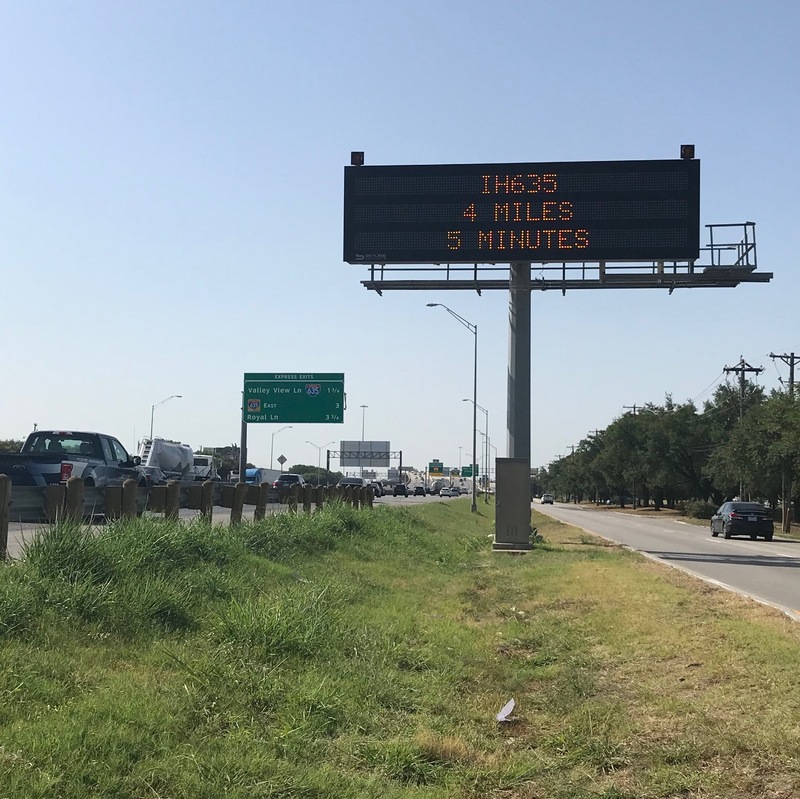 SESA has partnered with TXDOT Traffic Operations and the Levy & Company electrical contractor, to complete Retrofit Upgrades of 6 Dynamic Message Signs (DMS) placed at off ramps along major freeways in the San Antonio metro area. These 'Type 3' retrofit signs depict two lines of 15 characters in an 8 inch high character format. 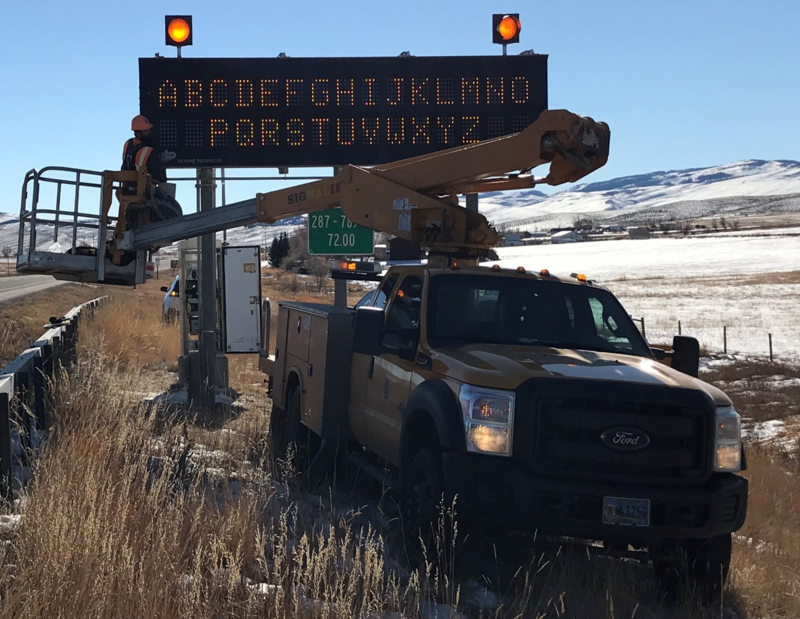 Wyoming DOT, with SES America has signed a procure and installation agreement to complete new technology Retrofit Upgrades of 43 existing legacy Dynamic Message Signs (DMS) along interstates I-80, I-25, and designated state highway routes. 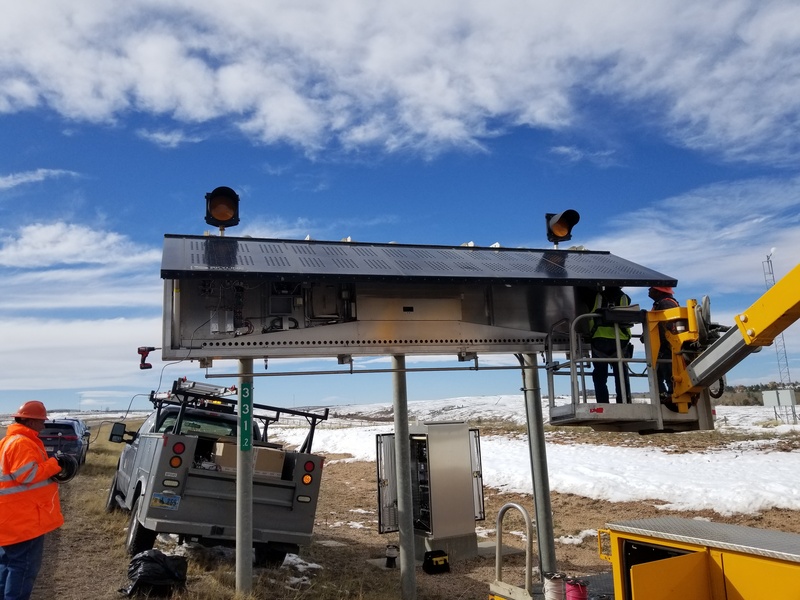 Spread throughout Wyoming from Yellowstone to Cheyenne, are side of the road DMS with 12 inch characters as well as walk in, over the road DMS signs depicting three lines of 25 characters in 18 inch high character format. 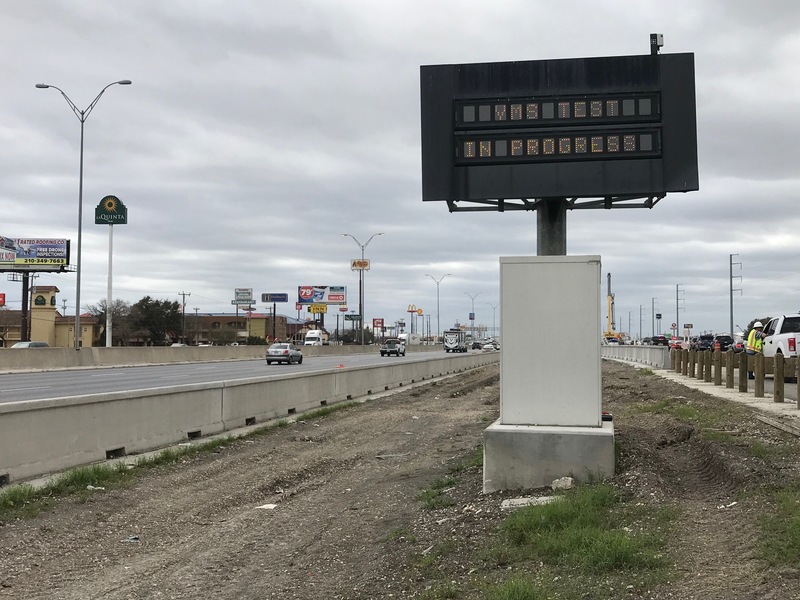 Beginning in 2009, South Texas Department of Transportation districts began retrofitting existing signs utilizing retrofit upgrade options either to replace older technology or to update troublesome signs. Through this time period, the tracking of average installed costs versus new installation costs was provided by contractors in 2014. This comparison is based on each sign's capability of projecting 3 lines of 18 characters, 18 “high characters in amber color. The new DMS option does not reflect any feature upgrades to the signs each district may have added. The new DMS pricing is the minimum amount on the current purchasing contract at that time for four years. Both options were front access type signs. Excluded was the superstructure or support costs - given that retrofitting would use existing structures, the cost is not evaluated here. Contractors and the DOT estimates that new structures for overhead applications run $150,000-$200,000.